A big thanks to all of you who visited us at Patcham this weekend! Missed out or want more craft themed fun? 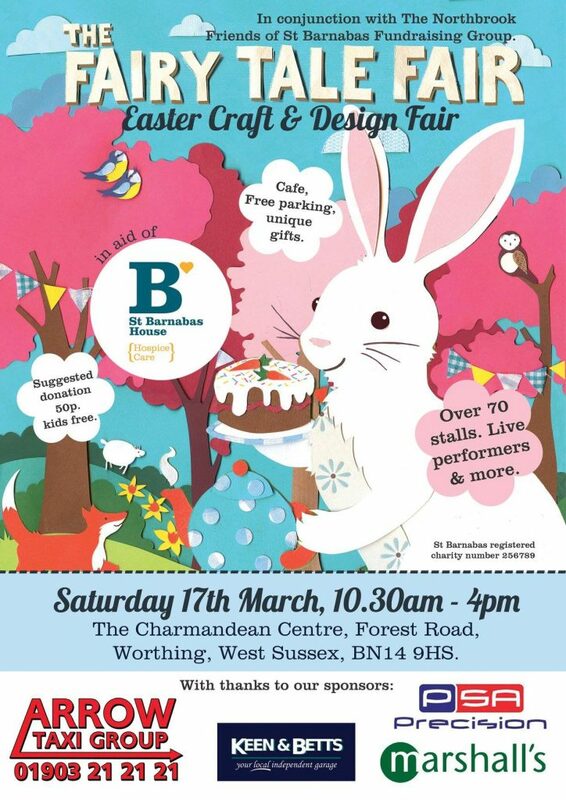 We’ll return for our 2nd and final Easter fair this Saturday 17th March at Worthing Charmandean. We can’t wait to welcome you to this fair which is in aid of St Barnabas. Over 70 talented stall holders will join us plus live entertainment throughout the day. You can read a full schedule of what’s on when here. We will open by the Town Crier and Worthing Mayor at 10.30am and close at 4pm. Also don’t miss Magic Martin, face painting, our free craft make table, cafe and lots more. You may even spot Elsa, Anna and Snow White! View our Worthing fair page for full details and map.